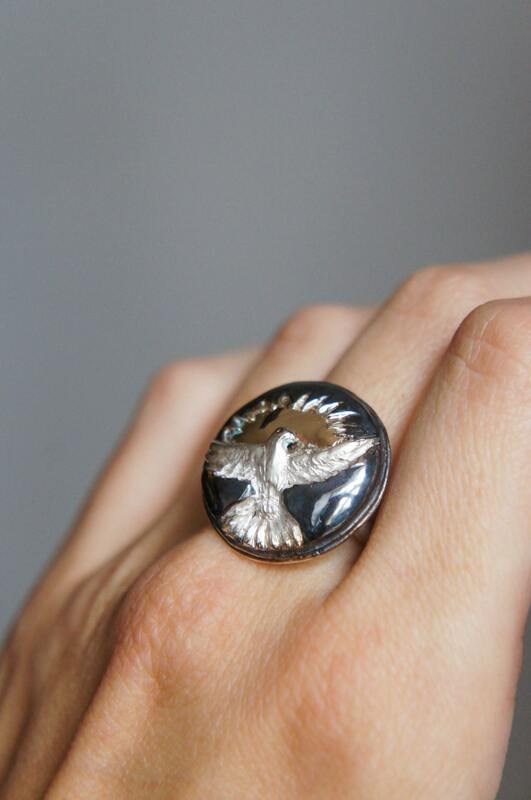 Dove ring handcrafted from sterling silver and gold by traditional techniques, without any molds or wax modeling. 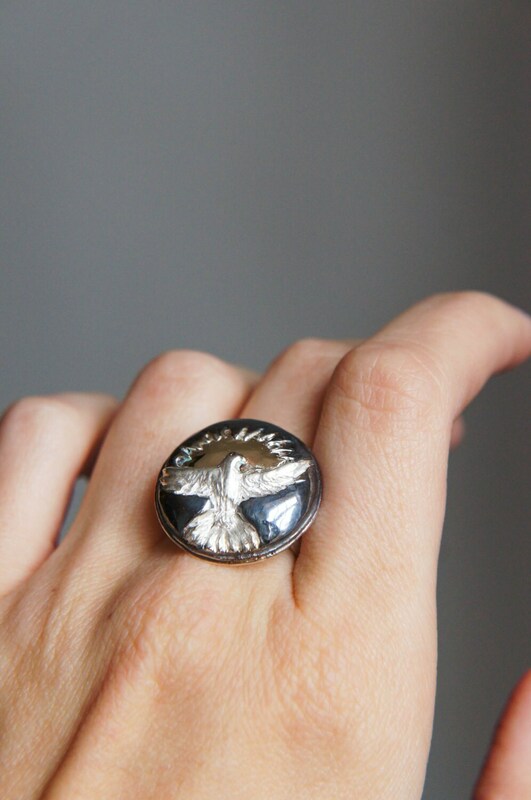 This statement ring features round shape, figure of a white dove and shining gold sun. It is a symbolic jewelry piece and makes it a unique Christmas gift or any occasion gift for her. 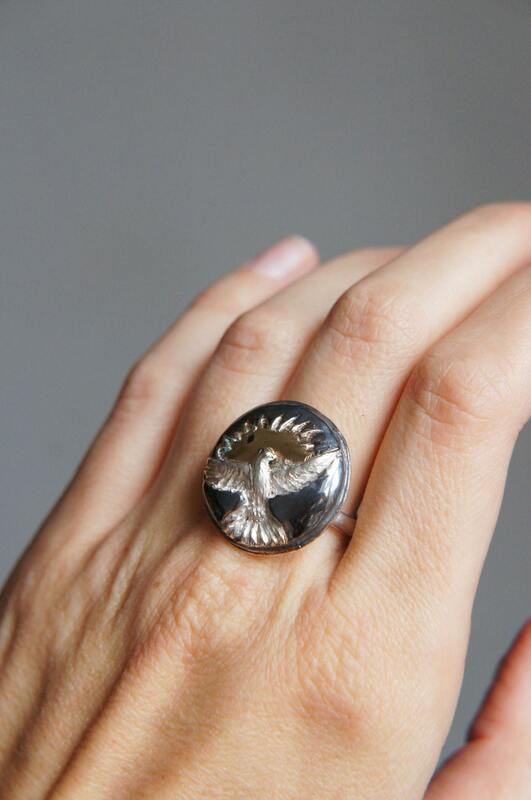 It is one of a kind ring and comes in size 8 US (European 18). 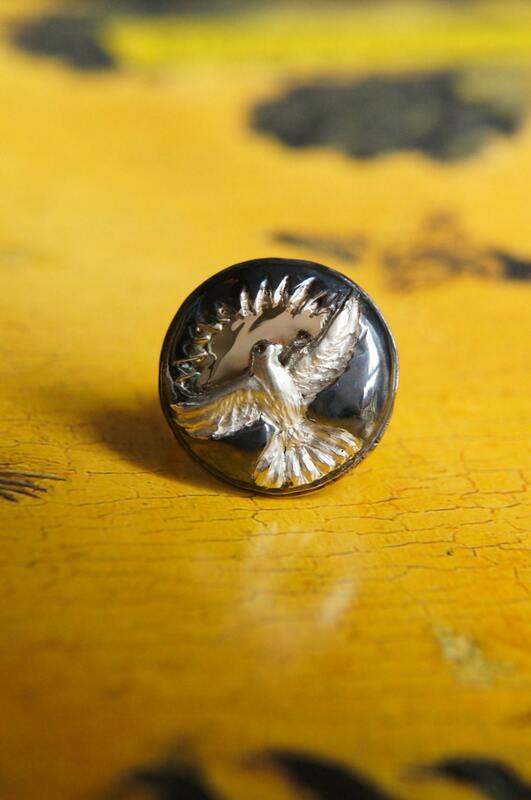 Feel free to request custom design jewelry, bird jewelry, silver and gold ring, statement ring or any other nature inspired jewelry. READY TO SHIP on next business day. 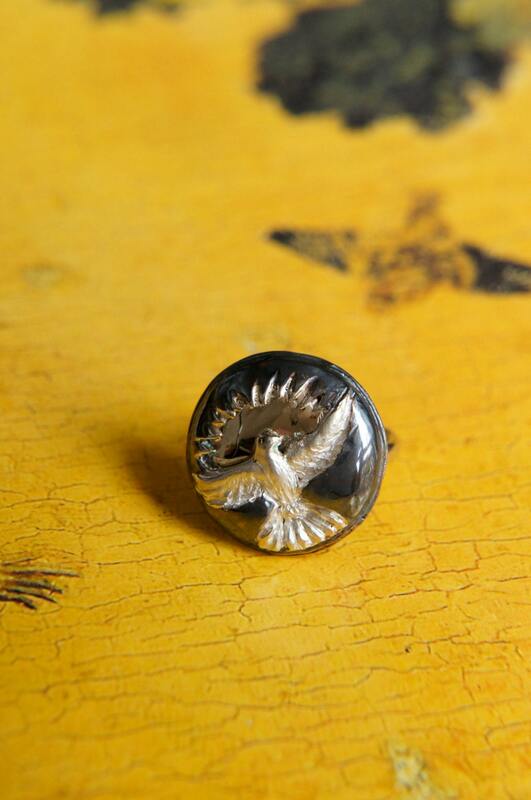 These unique ring is 100% handcrafted work, we don't use 3D design or moulds, only ancient techniques which give a real touch of handmade work. We use only metal sheets and wire for our artisan creations. Then we sculpt the metal into different shapes using chasing and repousse technique, forming, cutting, engraving.. These are very long and not easy processes, but it is worth it! Ask any question, I'm ready to help.